The Sunshine Horse Riding School is a family riding business with 14 horses and is located at the foot of Warden Hills in Luton. The riding school has a ménage and field working facilities and also has direct access to several bridlepath. Our horse riding programme provides a wide range of horses ranging from 11-16 hands and suitable for novices and experienced riders. We do operate age and weight restrictions, please call for details. We provide quality horses that match your experience and capability. We want you to learn the correct way to ride, in safety while enjoying the experience. 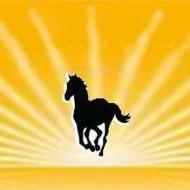 Sunshine Riding School offers horse riding lessons and experiences for children aged 4 or older. Child riding lessons take place every weekend. During school holiday we have half day and whole day events for children to learn to ride, interact and care for horses. Parents can join in or leave their children in the care of qualified instructors. Stable mornings and stable days; Groom and Ride; Walk and Ride; Fun and Games; Gymkhanas; charity riding relays are just some of the events that take place during school holidays. Regular riders can learn to be ‘helpers’ and support other children. A daily programme of events is listed on our website 2 weeks before each school holiday. Events have to be booked by phoning the stables. Personalised gift vouchers for birthdays etc. are available from our website. Sunshine is licensed by Luton Council, an approved teaching and assessment centre, and a member of the Association of British riding schools.